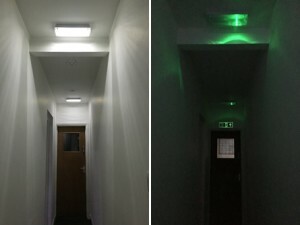 A full emergency lighting system inspection and duration test of the lights should be performed by a qualified engineer annually, regardless of the size of the site. Paragon Fire and Security offers maintenance contracts for Emergency Lighting compliant with BS5266. We offer fixed price servicing with all our Emergency Lighting contracts for a minimum period of TWO years from contract start date. All our Emergency Lighting service contracts DO NOT have a tie in period or minimum term. Call us to discuss your Emergency Lighting maintenance needs on 01483 724484.